Here's a fun app for kids that also encourages them to create. I love what puppets offer kids. As you can see above, there is encouragement within the app for children to move on from digital play to real-world play. 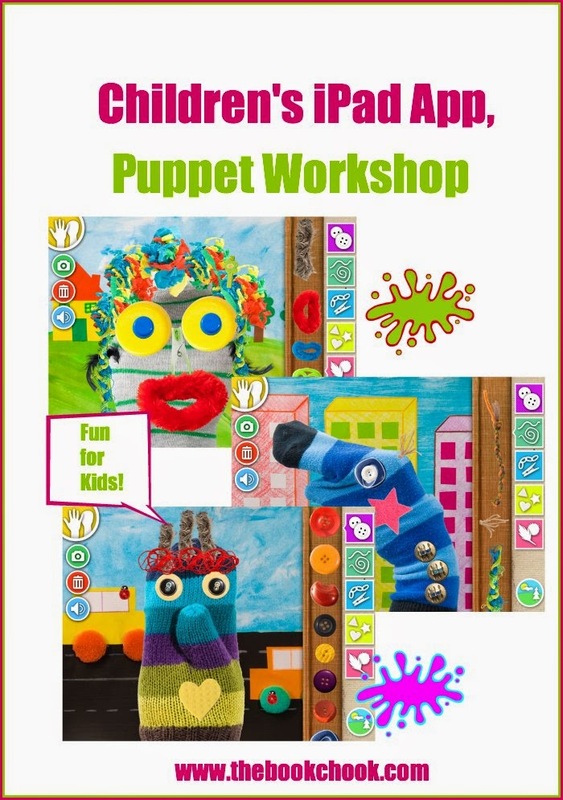 Kids could even design their own puppets in the app, then try to duplicate that puppet with craft materials. *It would be great if the saved puppet was able to be saved to the Camera Roll, rather than within the app. Children could export the images and go on to create little caption books starring the puppets they make. The images above, of my puppets Siderknee, Footsie and Toesette, were captured via a screen grab. *UPDATE: The green camera icon top left, allows the puppet to be saved to the camera roll. Thanks to the developers for letting me know! Kids will love creating their own digital puppets. My hope is they will go on to explore the creation of all sorts of puppets out of real physical materials. As I said in Last Minute Children’s Gift Ideas - Toys, Apps and Books 2014, if this app is a gift, add value to it “by creating a craft box with colourful old socks, buttons, paper and wool scraps, foil, pipe cleaners, glue, darning needle etc” for your children. If you’re interested in creative apps for kids, check out Creating with Kids and Apps, a list of apps that encourage kids to create, with links to my reviews and articles.